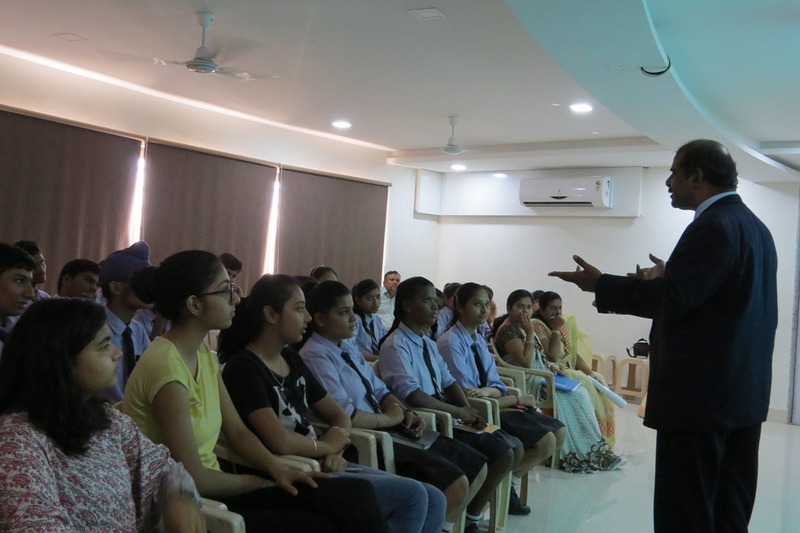 Atmiya Vidyapeeeth had organized A CAREER COUNSELLING PROGRAMME for Std X TO XII. The objective of the programme was to make the students aware of the academic aspects of the course, the rules and regulations of the Institute and ensuring Parental Participation in monitoring the performance and progress of the students. 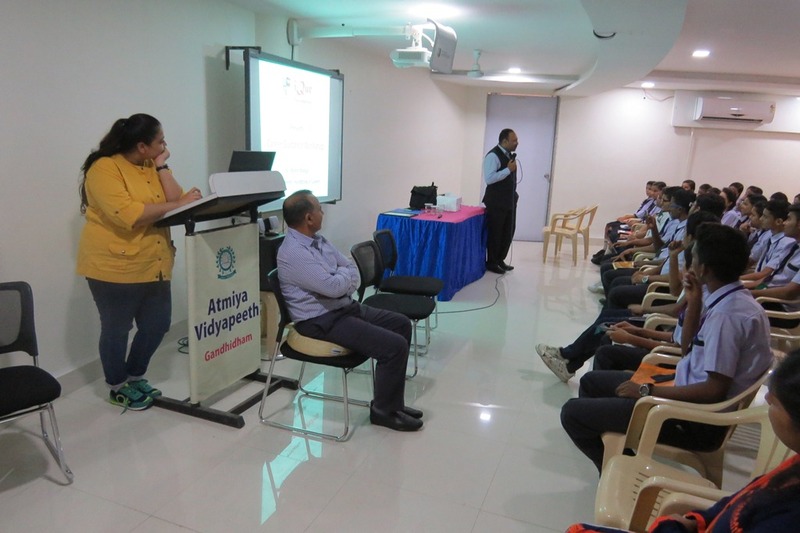 Atmiya Vidyapeeth had organized A CAREER GUIDANCE PROGRAMME for Std XI students of K.V., IFFCO, who appeared in the board Examination in March - 2018 on 28th April, 2018 from 8:00 am to 10:30 am. The objective of the programme was to make the students aware of the academic aspects of the course, the rules and regualtions of the Institute and ensuring Parental Participation in monitoring the performance and progress of the students. The Orientation Program is an opportunity for any student to learn and to choose their streams that is Sciene, Commerce or Arts.. 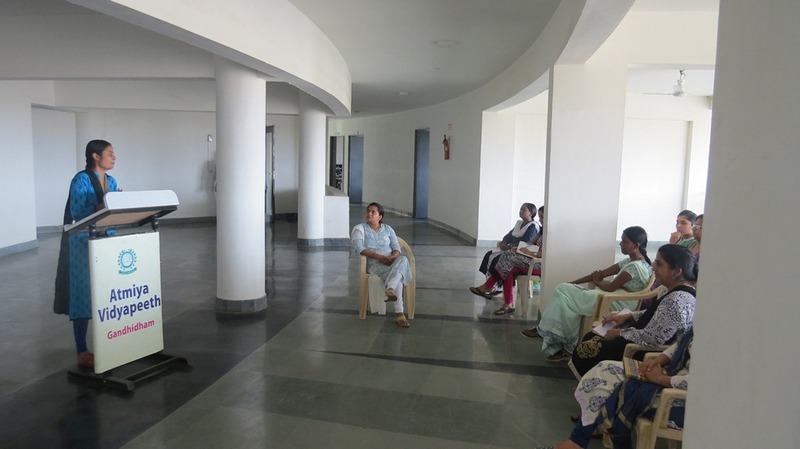 The program started with a prayer followed by welcome greetings given by Mrs. Nisha Sharma, CCA Co coordinator. Warm greetings were given to Mrs. Madhubala Singh Principal, K.V IFFCO for her cooperation to make the programme effective. 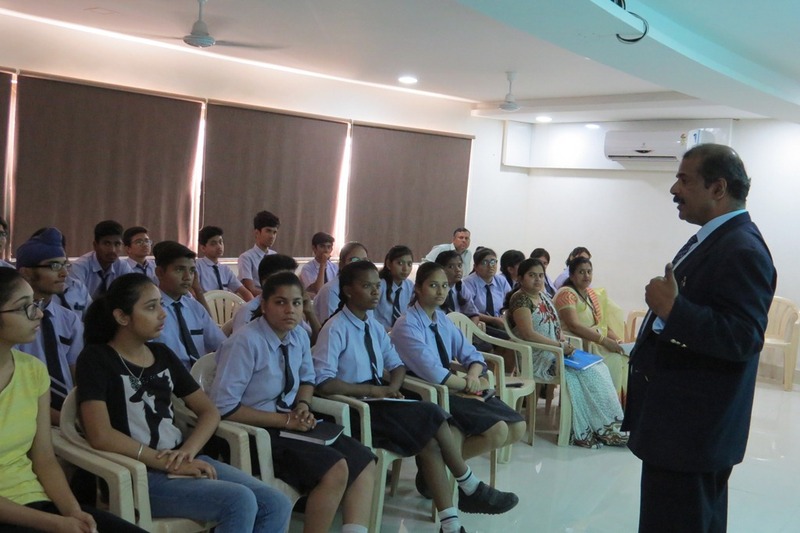 Mr. Scaria Thomas - Principal addressed the students with a brief introduction about our School and the prospective streams to choose after class X. He spoke about the different futuristic scopes in the field of Science and Commerce and Humanity which can be opted by the students as per their interest and aptitude. He shared his vast experience and advised the students to be dedicated, committed and focused on academics and to showcase their talents in both curricular and extra-curricular activities for having an edge over their peer group for employability and higher education globally. It was then followed by Slide presentation by Mrs. Madhuri Devnani, Mrs. Madhavi Upadhyaya, Mr.Mahendra Chouhan & Mr. G Jilani Shah, Faculties of Science and Dr. Taruna Sharma, Vice Principal, Mrs. Sapna Batham and Mrs. Sarita Bathla, Faculties of Commerce, Mrs Abha Joshi and Mr.Shankar Shetty, Faculties of IP/PE. The seminar concluded with an interactive session of the students with the delegates. Atmiya Vidyapeeeth had organized an Orientation Programme for the newly admitted students of Std XI at the conference hall on 10th August 2018. The major objective of the programme was to make the students aware of the academic aspects of the course, the rules and regulations of the Institute and ensuring parental participation in monitoring the performance and progress of the students. The Orientation Program is an opportunity for any student to learn and to choose between two major streams that is Science or Commerce. 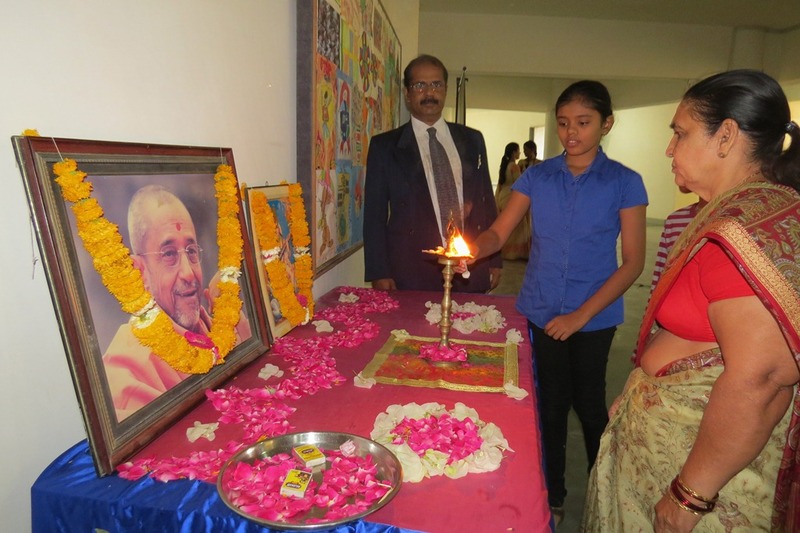 The program started with Saraswati Vandana to invoke blessings from the Goddess of knowledge followed by a welcome address given by our Principal Mr. Scaria Thomas who gave students a brief introduction about AVP School and the prospective streams to choose after class X. In his introduction, he spoke about the development and success that AVP had achieved during its 13 years of existence and make them aware about the different futuristic scopes in the field of Science and Commerce. He shared his vast experience and advised the students to be dedicated, committed and focused on academics and to showcase their talents in both curricular and extra-curricular activities for having an edge over their peer group for employability and higher education globally. It was then followed by Slide presentation by Mrs. Madhuri Devnani, Mrs. Ritika Sharma, Mr. G Jilani Shah faculties of Science and Dr. Taruna Sharma, Vice Principal, Mrs. Sapna Batham and Mrs. Sarita Bathla faculties of Commerce. Orientation programme was concluded by senior secondary section coordinator Mrs. Madhuri Devnani with her Vote of thanks, followed by National Anthem. on 27th & 28th January, 2018. 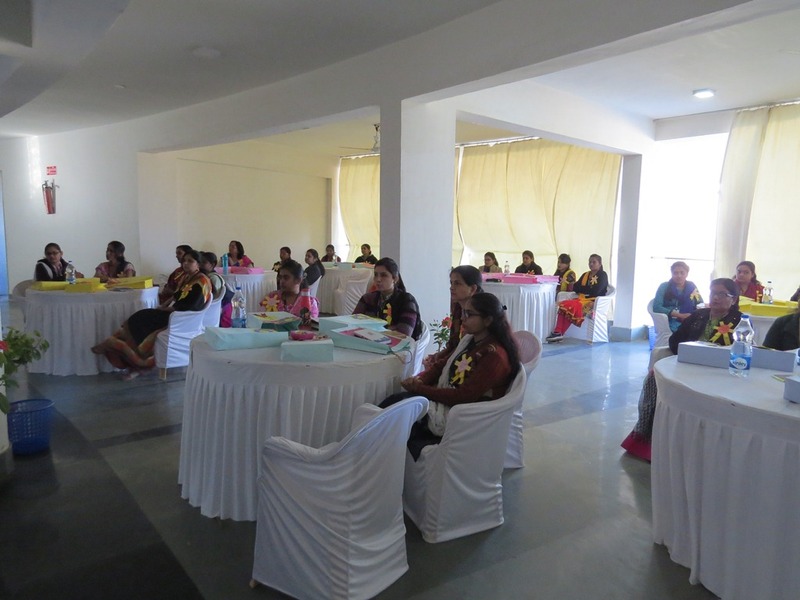 The Training Programme was organized by Dr. Mayur Patadia, Director, Vrajbhoomi International School, Rajkot and Mrs. Meeta Jadeja, Director and Principal, T N Rao School for Girls, Rajkot. 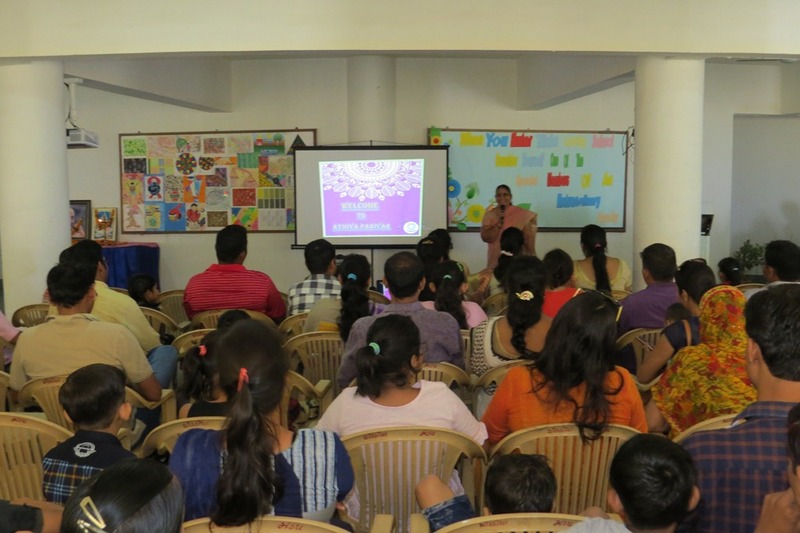 A CBSE Training on REMODELLED STRUCTURE OF SECONDARY SECTION was conducted in Satyameva Jayate International School, Ahmedabad by CBSE Resource person Ms. Ranjana Rajput on 23rd Dec.2017. It was a one day Training programe from 9.00am to 4.00 pm and teachers from different schools were presented to update themselves with the New Pattern of Exams and Remodeled structure. Many points based on Internal Assessment, Subject Enrichment Activity , Written Test, Syllabus, and Periodic Tests were discussed in the Training Programme. The teachers acquired the system of Co-scholastic Subjects like Work Education, Art Education and Health Education. Madhuri Devnani, Faculty of Science, Co-Ordinator of Secondary Section, and Mrs.Vanaja Shankar, Faculty of Maths, Co-Ordinator of Primary Section represented the Training Programme from Atmioya Vidyapeeth. Most employees have some weaknesses in their workplace skills. A training program allows you to strengthen those skills that each employee needs to improve. A development program brings all employees to a higher level to expand the knowledge, build confidence and be aware of the latest trend and technology. 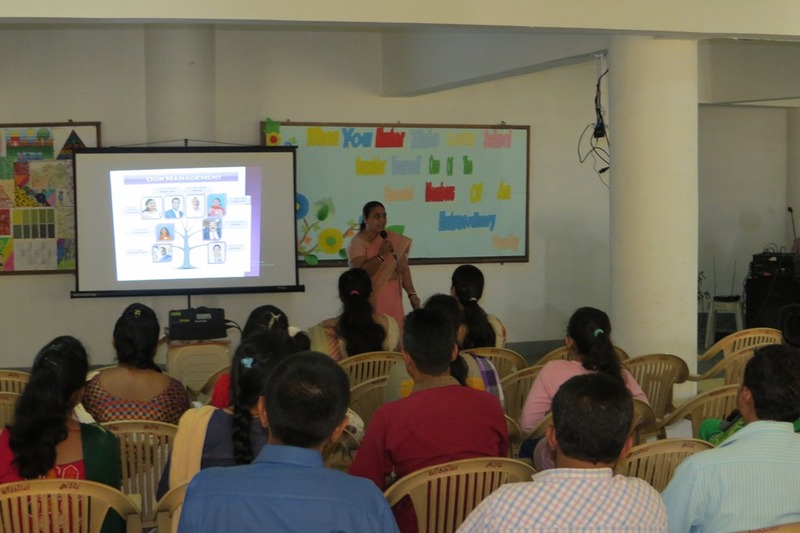 In order to update oneself with the technology and to be more connected with oneself and their students, Training Programs on different topics were conducted in Atmiya Vidyapeeth for all the teachers which really boosted up the teachers and delivered positive energy in their field of work. A training workshop was conducted by our Vice Principal Dr. Taruna Sharma on “Rapport Building between Student and Teacher” which was attended by all the teachers. Merely teaching in the classroom is not enough, one has to bring motherly touch or build rapport with the students to get into the student’s mind and analyze their way of thinking and working. Rapport building is an effective and efficient way to stay connected with our students and also knowing their strengths and weaknesses and accordingly get the best results out of them. All the teachers were divided in groups where they have to present a classroom scenario of the teacher with different teaching style like Authoritative or Democrative or a blend of both. In this way, teachers learned the appropriate method and the consequences or thoughts of the students for the same. 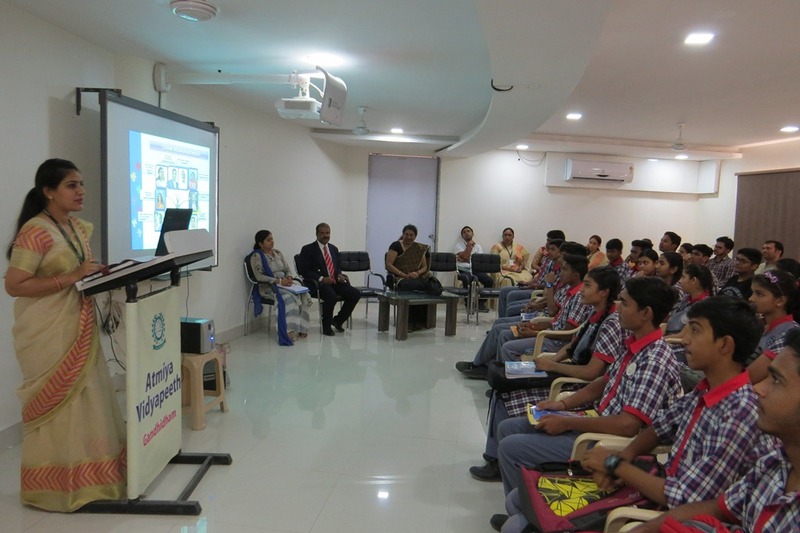 To update oneself with the latest technology, IT training session was conducted by IT Faculties of our school including Mr. Sandeep Issrani, Mrs. Priyanka Khanduja and Ms. Suman Nathani. 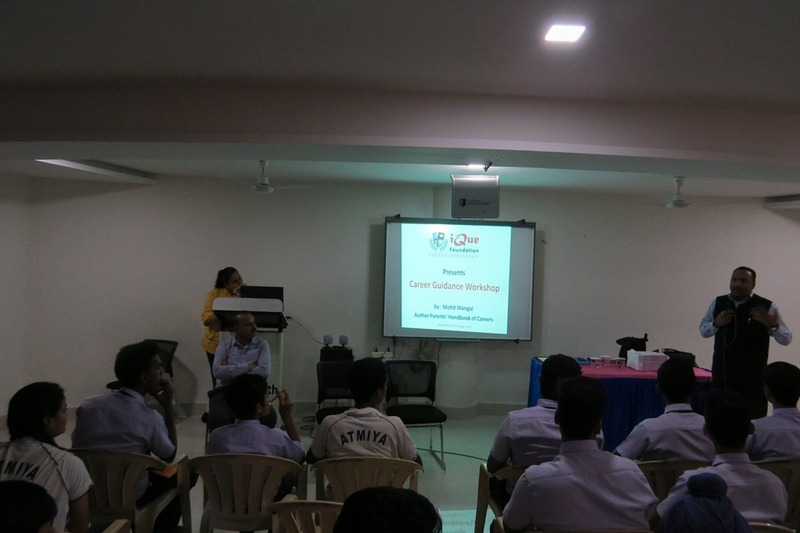 The training program was focussed on the smooth working on MS-OFFICE and Social Networking System such as E.mail. Teachers found the training worthy and it helped them to become more IT friendly. 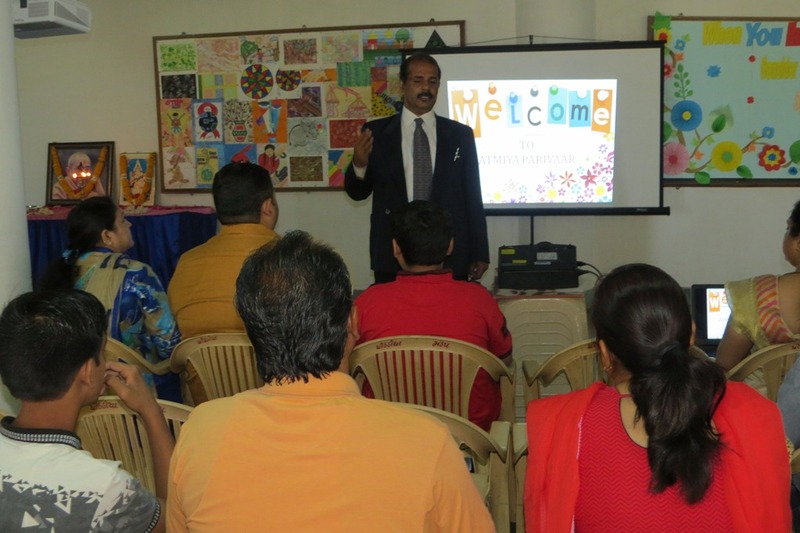 A training workshop was conducted by our Vice Principal Dr. Taruna Sharma on “Know Thyself” which was attended by all the teachers. Knowing oneself is more important than knowing others. One should know one’s own strengths and weaknesses so that one should find better way to overcome the weaknesses. The teachers were asked to come up with their two positive and two negative attributes shared the same with their colleagues. It was a wonderful opportunity for everyone to know each other. At the end of the session Dr. Taruna Sharma guided each teacher how to overcome their weakness and build a strong personality for better professional as well as personal life.